Wij doen de verkoop, u kan zich bezighouden met de dingen die er toe doen. 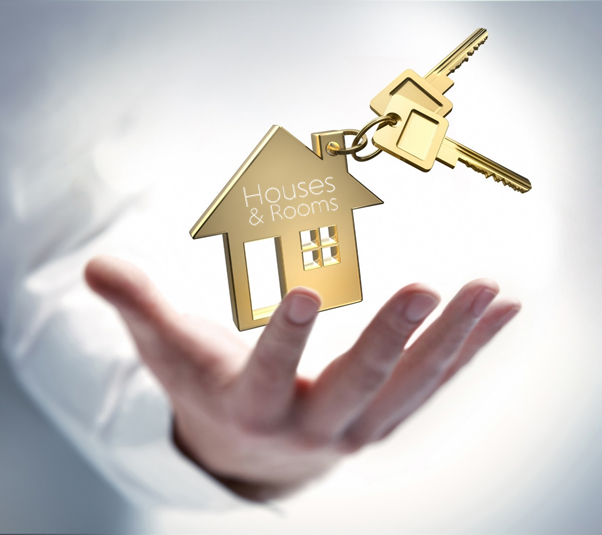 Houses & Rooms is experienced in the temporary and long-term rental and will gladly assist you in finding a tenant that both temporarily or for long duration will stay at your rental property. You indicate how and when you want to rent out your property and Houses & Rooms makes sure that everything is arranged for you! We mediate in both private (apartments, studio´s and single family homes) as dependent living (rooms) in every price range. When you are considering renting out your property please contact us for a free consultation. If you are interested to rent your property we will come along during a personal conversation to know each other better and to discuss your options with relation to the rental property. We advise you on the attainable rental price based on the rental points system and the rental market and if possible changes can be made to promote a quick rental. During the conversation, we take photos of your property or we turn in a photographer in. The photos will be posted on the website of ´ Houses & Rooms and websites of partner organizations such as Pararius and Jaap.nl. Besides individuals, expatriates and professionals are a very important group of tenants. We work with companies to their employees to offer suitable housing, furnished or unfurnished. its financial resources to pay the monthly rent. For prospective tenants, we arrange a viewing. If a tenant decides to rent your property, we do the negotiations and we may want to ask a lease. Even if your home is offered for sale, but sales aren’t going as planned we can be of service. We can make your home "temporarily" for rent with an appropriate clause for termination in the case is still sold the house. Also, your property can be rented based on the "Leegstandswet". Ask for the possibilities.